Polybioskin is an international and interdisciplinary three-year research and development effort aiming to broaden the use of biopolymers in biomedical, cosmetic, and sanitary skin-contact applications. Harnessing the extraordinary antimicrobial, antioxidant, absorbency, and skin compatibility features of biopolymers and decoupling the production of exemplary high-volume products from the depletion of fossil resources by utilising primary as well as food waste biomass, the project aims to provide functionally improved, significantly more sustainable, and price-competitive everyday products, namely baby diapers, facial beauty masks, and non-woven tissue to be used in wound dressings. In addition, tailored biodegradability properties will make alternative end-of-life options such as organic recycling feasible for and drive the implementation of circular economy thinking in entire multi-billion euro product segments. 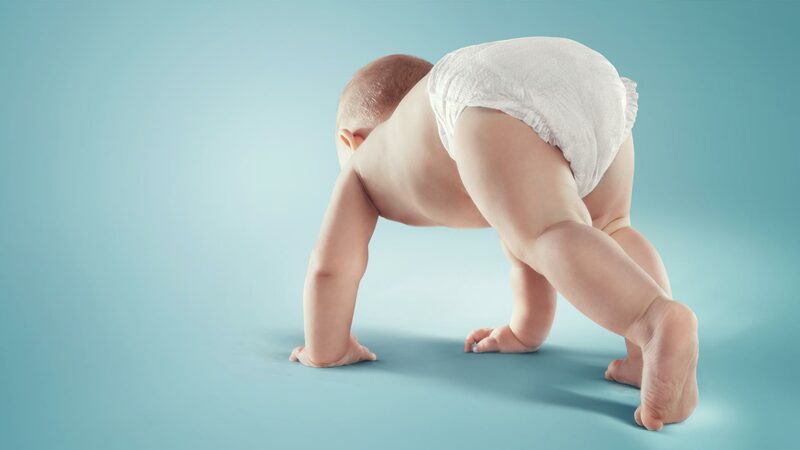 Developing and validating a 90% or more bio-based and fully biodegradable baby diaper with a skin-compatible surface and a biopolymer-based superabsorbent core, enriched with antimicrobial and antioxidant functionalities to prevent skin reddening and inflammation. Developing and validating a >90% bio-based, bioactive facial beauty mask, in the form of a film or a non-woven tissue impregnated with formulations based on natural compounds. Developing a biodegradable and at least 90% bio-based nanostructured biocompatible non-woven tissue for use in wound dressings. Assessing the skin compatibility of the developed textiles and films using ethically sustainable testing methods. Significantly increasing the renewable content of selected personal care, cosmetic, and biomedical applications from little or no bio-based content to over 90%. Reducing the environmental impact of the target products by improving end-of-life scenarios through eco-design. Demonstrating both the safety and regulatory compliance and the environmental and economic sustainability of the developed processes and products. Maximising the contribution of the project results to sustainable economic and job growth. PolyBioSkin will focus on two main classes of bio-based polymers with excellent innovation, sustainability, and commercialisation potential for the bio-based industry: biopolyesters, specifically PLA and PHAs, and the natural polysaccharides cellulose, starch, and chitin/chitosan. The former have excellent properties including biodegradability and biocompatibility and are available at an advanced industrial scale. The polysaccharides have unique desirable attributes including high absorbancye and antibacterial properties. Films and textiles will be produced from these polymers and their combinations to prove that key products and/or product parts in the sanitary, cosmetic, and biomedical industries can be effectively shifted from a fossil-derived to bio-based polymer base. PolyBioSkin will apply a range of processing technologies for biopolymer development, including electrospinning, surface modification, and impregnation of films and fibres, resulting in (i) A new biodegradable diaper consisting of a bio-based topsheet with antimicrobial and skin beneficial functionalities and a bio-based superabsorbent layer; (ii) Novel cosmetic masks based on textiles or films made from biopolymers and impregnated with molecules beneficial for the skin; (iii) Nano-structured highly skin-compatible textiles for wound dressing. PolyBioSkin will facilitate innovation and opportunities in the circular bioeconomy, helping to place Europe in a leading position in the development of high-performance, eco-friendly biopolymers. PolyBioSkin innovations will pave the way towards improved waste management practices by focussing on organic and mechanical recyclability as an alternative to incineration and landfilling. PolyBioSkin unlocks ecological and economic opportunities by substituting conventional fossil-based materials with more sustainable bio-based alternatives in high-value market segments. PolyBioSkin contributes significantly to the EU’s target of transitioning to 20% bio-based chemicals and material production by 2020. WP 1 Specification of the exact target applications and selection of suitable bio-based raw materials. This assessment will identify which materials are most efficient in terms of the desired functions as well as in terms of cost-efficiency. It will also run a pilot-scale production of polyhydroxyalkanoates (PHAs) with enhanced compatibility to human skin. WP 2 Preparation of granules from biopolymer blends and composites for producing films for topsheets and beauty masks, and fibres for textiles. This work package will also explore surface modifications of films as a method for introducing anti-microbial and anti-oxidant functions. WP3 Production of biopolymer-based fibres. These will include modified polysaccharide-based superabsorbents for bio-based and biodegradable diapers and fem care products. WP3 will also optimise and validate the formulations developed in WP2 for textiles to be used in the facial beauty masks and wound dressings. WP4 will examine bio-based micro and nano-structured non-woven tissue, using electrospinning of blends and nano-composites based on chitin derivatives and biodegradable polyesters for beauty masks and wound dressings. WP5 Prototyping and testing of a PolyBioSkin baby diaper to validate and demonstrate the production and properties of the bio-based functional topsheet and superabsorbent polymers (SAP). WP6 will validate the production and properties of films and textiles for beauty masks and produce prototypes for testing. WP7 Validation of the nano-structured textile-based wound dressing, scale up of production, and prototypes for testing. WP8 analyses the impact of materials/products and processes on human health and the environment and will conduct LCA, LCCA, health and safety evaluations, and biodegradation assessments. It will also examine relevant standardisation and legislative/policy aspects. WP9 will describe the products’ value chains and set up suitable business models to reach early adopters. It will maximise the impact of the project for growth and jobs through communication, dissemination and exploitation of the PolyBioSkin results. In addition, it will advocate the support of the PolyBioSkin solutions and ecolabels with policymakers. WP10 covers all aspects of project management, coordinates the project components, and ensures that resources are managed effectively and that communication and reporting obligations are met, particularly with the European Commission and the BBI-JU. WP11 will ensure the PolyBioSkin project complies with all applicable ethics requirements. We would be delighted to connect with you to share news about the project and discuss its aims, relevance, and potential impact with you. To get in touch, please subscribe to our newsletter, or get in touch with the project coordinator. Subscribe to the 4-monthly PolyBioSkin newsletter to receive up-to-date information on the project, insights into biopolymer research, an agenda of relevant events and conferences, and much more. This project has received funding from the Bio Based Industries Joint Undertaking under the European Union’s Horizon 2020 research and innovation programme under grant agreement No. 745839.